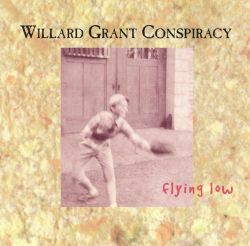 The Willard Grant Conspiracy's Flying Low is an unexpected and surprising album (officially their second album, but marketed as a debut) that melds American roots-rock with a dark, haunting atmosphere straight out of American Music Club. The Willard Grant Conspiracy is more of a collective than a proper band. The entire album grew out of regular jam sessions, and the recordings boasted a revolving cast of musicians -- even the most prominent members of the band don't know who played what on every track. 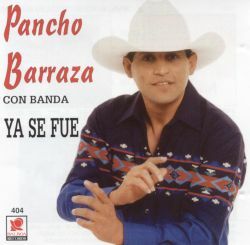 That ambiguity works in the album's favor, since the music offers unpredictable variations on a couple of themes. With his deep vocals, Robert Fisher keeps things centered -- matched with the spooky yet spare music, his melodies and lyrics get under the skin. At times, Flying Low is a little precious, but that only adds to its darkly attractive ambience. Depending on your point of view, The Find is either an album whose ideology and overall vibe are stuck in the '90s or a new-millennium hip-hop album that bears influence of the foundation while providing an updated spin from a talented artist. The latter sentiment is most accurate. 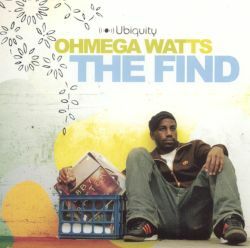 Producer/MC Ohmega Watts and a host (and that means host) of friends make The Find a worthwhile listen for any hip-hop fan. With Watts in control, he takes obvious nods to iconic producers (Pete Rock, Diamond D -- he rhymes similar to Large Professor) and the sound of hip-hop's '90s renaissance, while rearranging it in his own distinct way. The six-minute "A Request" is an updated '90s head-nodder with a two-minute rideout that appropriates everything from Souls of Mischief to Gang Starr, with some timpani/cowbell percussion to boot. Ohmega lays down a gritty, strutting groove for "Full Swing" as MCs Neogen and Deacon join him on the mike for an old-fashioned cipher. But even in the midst of a staple track like this, Ohmega manages to finds about 20 seconds in the middle of the tune to do some electronic space traveling. Watts also shows himself a capable and diverse producer, venturing outside the realm of the hip-hop idiom. "Your Love" is a hip-hop/soul vehicle for singer Tiffany Johnson, while "Treasure Hunt" (featuring Sugar Candy) is straight-up authentic dancehall-style reggae. 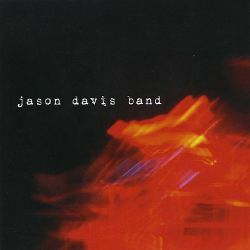 The electric guitar shredding through "Groovin' on Sunshine" highlights one of his several largely instrumental tracks. The Find is very close to a perfect creative balance between exploration and traditionalism, and an impressive debut from a hip-hop commodity. 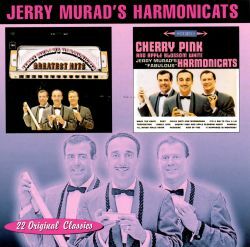 In 1999, Collectables released Greatest Hits/Cherry Pink & Apple Blossom White, which contained two complete albums -- Greatest Hits (1990, originally released on Columbia) and Cherry Pink & Apple Blossom White (1961, originally released on Columbia) -- by Jerry Murad & the Harmonicats on one compact disc. In 2001, Ekkehard Ehlers released a compositional cycle of abstract tributes to artistic personalities. Released as a string of five EPs and singles on Staubgold and Bottrop-Boy throughout 2001 and early 2002, they were later culled and issued by Staubgold as Ekkehard Ehlers Plays in May of that year. The album comprises ten tracks, two per artist. Ehlers' music never references the works of its namesakes. Instead it draws inspiration from a certain state that the music of Cornelius Cardew, Albert Ayler, and Robert Johnson, the films of John Cassavetes, and the writings of Hubert Fichte create in Ehlers' mind. 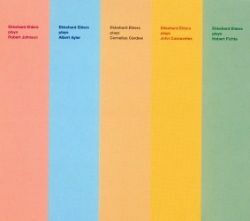 Although each set has its own character, associating it with the corresponding artist simply doesn't work -- and to add to the intentional confusion, the order in which the EPs' titles are listed on the front cover and the actual track list given in the booklet differ. Ehlers' music draws on German experimental ambient and minimal techno, but also post-rock melancholy and drone-based improvisation. The best pieces are the two "Ekkehard Ehlers Plays Albert Ayler" tracks, featuring slow cello notes (almost drones) by Anka Hirsch. They sound like funeral marches. The two "Ekkehard Ehlers Plays Hubert Fichte" tracks, with delicate guitar work by Joseph Suchy, also captivate. On the other hand, the dancefloor-friendly beat in the concluding "Ekkehard Ehlers Plays Robert Johnson" brings things to an awkward end. 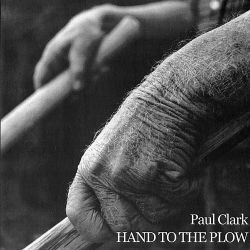 This album generates its own universe of cultural references but, beyond its conceptual side, it draws the listener into a highly introspective sound world, slow-changing and mesmerizing. It eschews the clichés of clicks + cuts, microsound, or any other trend rooted in experimental electronica at the time, making it definitely one of the strongest, most personal artistic statements of 2002. Highly recommended.